The Royal Ann Cherry tree is vigorous in growth and upright in habit but begins to spread with age. They are heavy producers of a very large amber color fruit. The fruit is excellent for canning, eating fresh or making maraschino cherries. 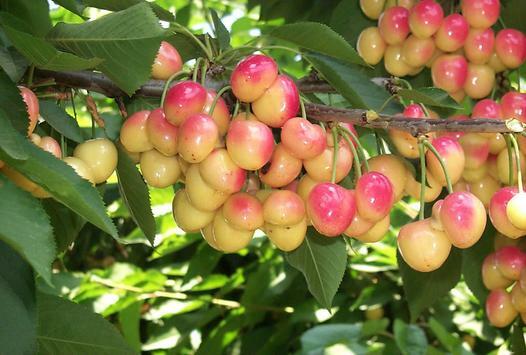 This variety of cherry is not self-fertile and requires another cherry tree such as Black Tartarian to fruit.